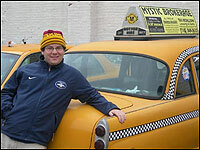 Dave Freedenburg gives culinary tours of all five boroughs in a private car or, for a bit more money, his yellow cab! The tours start at $100 an hour (four-hour minimum) regardless of the number of eaters and includes food, waters, gas, and parking tickets. There are various themed tours, such as the “Fat Elvis” (which is more than eight hours long and stops in thirteen neighborhoods) and the “Midnight Munchies” (which could start as late as 2 A.M.), or you can create a customized tour with Dave. In a recent NPR story, the journalist was “drunk” on the fried chicken they picked up at Charles’s Southern Style Kitchen in West Harlem, and was licking the shells of jerk shrimp from the Bronx’s Feeding Tree. As I listened, I wondered if I could actually eat that much food for over four hours. No worries, though. You don’t eat full meals at every stop, instead you get “generous tastes”, so by the end, you are definitely full, but not stuffed. Sounds like the perfect birthday present for any foodie! Listen to the NPR story on Dave’s tours. Ferdinando’s: 151 Union St. Old school Sicilian foccaciaria that serves arrancini just like they do in the old country. Steve’s Authentic Key Lime Pie: 204 Van Dyke St. Pier 41, Red Hook. Civil War-era warehouse on the Red Hook waterfront with amazing views and delicious key lime pies. No 28 Carmine: 28 Carmine St. Within a couple blocks of Joe’s Pizza, John’s Pizza, Bleecker St. Pizza, DeMarco Pizza and Abitino Pizza is No. 28, which blows them all out of the water for authentic Napoli pizza margherita. Russ and Daughters: 179 E. Houston St. The greatest place on earth for lox, chopped liver, tuna salad, cream cheese, and a nice whitefish. 5 Star Punjabi: 13-15 43rd Ave. Long Island City Long Island City is the main hub for yellow cab garages, and this restaurant keeps their bellies full of samoza late into the night. Ali’s Kebab Cafe: 25-12 Steinway St. at 25th Ave., Astoria Egyptian food like you’ve never tasted, cooked right in front of you by Ali. Sam’s: 596 Grand Concourse Get perfect BBQ chicken before the Yankees game, or go afterward for fried shrimp, chicken wings and karaoke. El Valle: 555 Grand Concourse No. 149 Rice and beans, maduros, roasted chicken. The Boogie Down Bronx. Nothing could be finer. Denino’s Pizzeria Tavern: 524 Port Richmond Ave. Order anything involving mozzarella. The pizza is the classic Staten Island pie, and the mozzarella sticks are the stuff of legend. • If you want a white wine, choose one that does not sit in (expensive) oak barrels, such as Riesling, Sauvignon Blanc, Chenin Blanc, and Pinot Grigio. • Choose an unfamiliar or lesser-known grape. If less people know about it, they won’t ask for it, and the price will go down. (Of course it might be harder to find too). Ever heard of Torrontés, the Argentinean white grape? Me neither, so you won’t spend much for it. • Choose wines from areas where labor costs are lower, such as Argentina or Chile. If it costs less to make, it will cost less to buy. Speaking of cheap wines, I had the pleasure of trying the Red Bicyclette Syrah 2004 a while back. Loved it. The palate is complex, yet well balanced, with lots of berry flavors and just the right amount of spice. It has a peppery aroma and medium weight, and the finish was especially long and pleasant. Plus, it has a very cute label. $8.99 at Park East Wine & Spirits, 1657 York Ave at 87th St, 212-534-2093. First of all, I meant to get a 2004. . . Actually I asked for a 2004, and did not notice that I was given a 2006. This is not to say the employees at Sherry-Lehmann are negligent. In fact they are quite helpful and knowledgeable. Nevertheless, the fact is: I got the wrong wine. AND the photo is a 2003 bottle, but just disregard that because the rest of the label remains the same in 2004 and 2006. Anyway, Enrique Foster Mendoza Malbec Ique 2006 is nothing exciting, but it is an smooth well-balanced (and priced) wine with a beautiful ruby-red color that I recommend. The aroma is fresh and light and the body is medium-to-full. 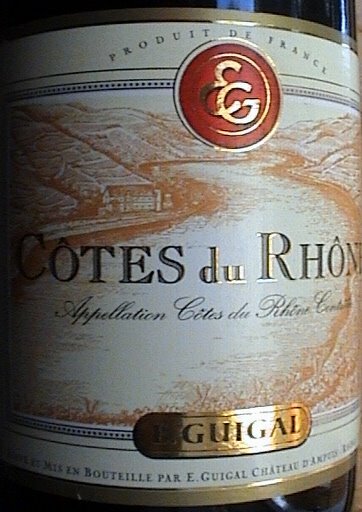 The palate has pleasant hints of licorice, pepper, and berries that develop into a lingering, satisfying finish. I enjoyed it with my soba noodles (the only thing in my fridge at the moment), so it should go very well with pasta, and probably a variety of cheeses. After much speculation, the 2007 nominees for the James Beard Awards, the Oscars of the restaurant world, are in. Adam Platt, Rob Patronite, Robin Raisfeld, and Grub Street all filled out Beard brackets (or at least revealed whom we’d like to see win) on Friday. Here’s how the academy’s coming down. As expected, David Chang was nominated and is, it says here, a stone-cold lock for the award. But Daniel Humm, slipping in under the age wire, was also nominated for his brilliant work at Eleven Madison Park. The other nominees are all from out of town: Nate Appleman of San Francisco’s A16, Graham Elliot Bowles of Avenues in Chicago, Michel Richard of Citron in Washington, and Patrick Connolly of Radius in Boston. Shocker: Three months ago Ssäm Bar was selling Asian burritos; now they’re nominated for Best New Restaurant, along with L’Atelier de Joël Robuchon, Guy Savoy in Vegas, Cochon in New Orleans, L.A.’s Cut, and (another pleasant surprise for New York) A Voce. The nominees for the big one skew young. Wylie Dufresne of wd-50, picked by all four New York writers, did indeed make the list. The other finalists: Terrance Brennan of Picholine (a Platt pick), Gabriel Kreuther of the Modern, Floyd Cardoz of Tabla, and David Waltuck of Chanterelle. 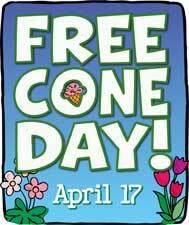 Get the full official list here. You are currently browsing the archives for the *kanshefle category.